EZ-Gro Manganese (Mn) 10% 10-0-0 is a plant nutrient supplement powder, which exploits amino acid chelation to enhance its bioavailability. Manganese is an important element that is present naturally in small amounts in most soils. Low levels of manganese stimulate growth by enhancing the efficiency of photosynthesis. 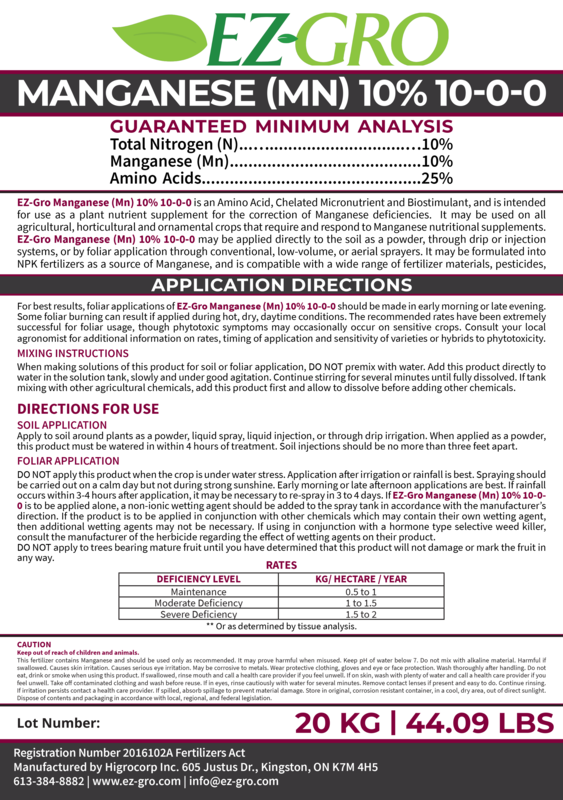 Add EZ-Gro Manganese (Mn) 10% 10-0-0 to your current fertilizer regimen to remedy manganese deficiencies and boost growth, yield and quality of your plants.